All concrete floors are covered with a screed layer to provide a final level of finish into to which the floor covering is installed. When you’re under floor heating is installed, the perimeter wall and floor insulation panels with a moisture barrier needs to be fitted. The under floor pipe work is then secured to the panels and covered in a screed layer. In order to avoid cracking the screed needs to be of a suitable depth in order to increase strength and insure sufficient cover over the pipe work. 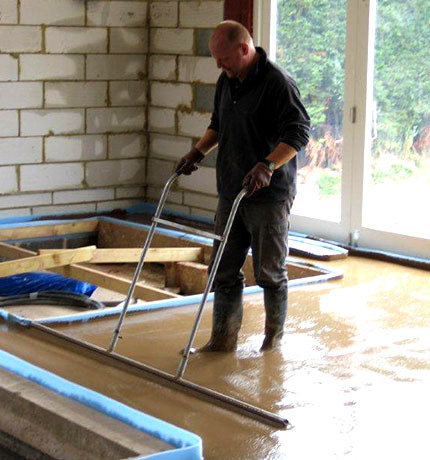 When the screed is installed over floor installation the screed is called floating screed. High performance self smoothing screed compound, based on the latest polymer and cement technology. 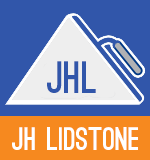 JH Lidstone can install self levelling screeds, ideal for a wide variety of projects including schools and offices.